Juliette has been banished for the summer to a village above Grenoble: a few Alpine houses, a deep lake, blue sky, and no society. Now she writes daily to her husband. She tells how she went for a walk and ended thigh-deep in mud, how the draft comes in around the window, how extravagantly she has spent on new gloves, how she misses Paris. She plans her letters on ordinary pages, but when they are ready, she copies them on paper whose enchanted double is hundreds of miles off. The words form themselves on the matching sheaf in her husband's study. No time is wasted on couriers. 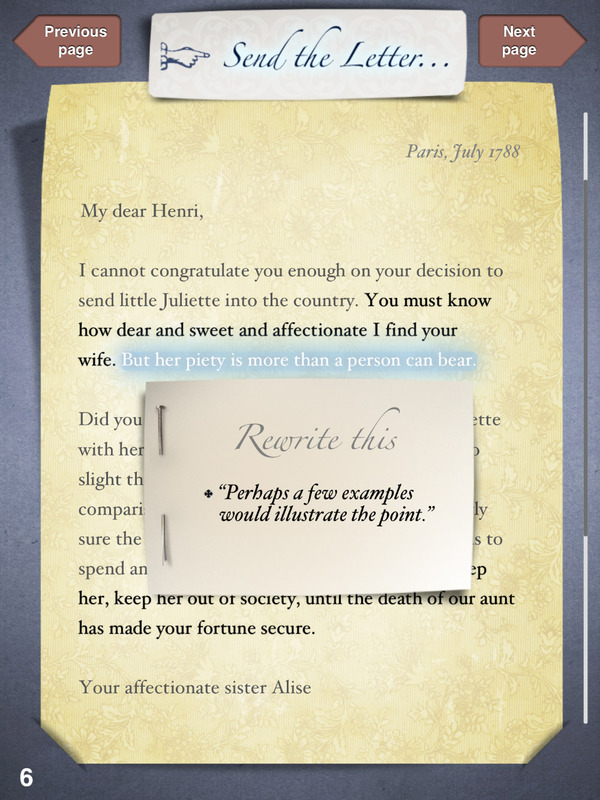 First Draft of the Revolution was written and conceived by acclaimed narrative designer Emily Short, and prototyped and produced by Liza Daly, with inkle stepping in to finish off the final development and provide the visual design. The story is set just before the French Revolution in an alternate, magical universe. A young married woman, Juliette, is banished to the countryside by her controlling husband but discovers a secret that questions her deepest loyalties. 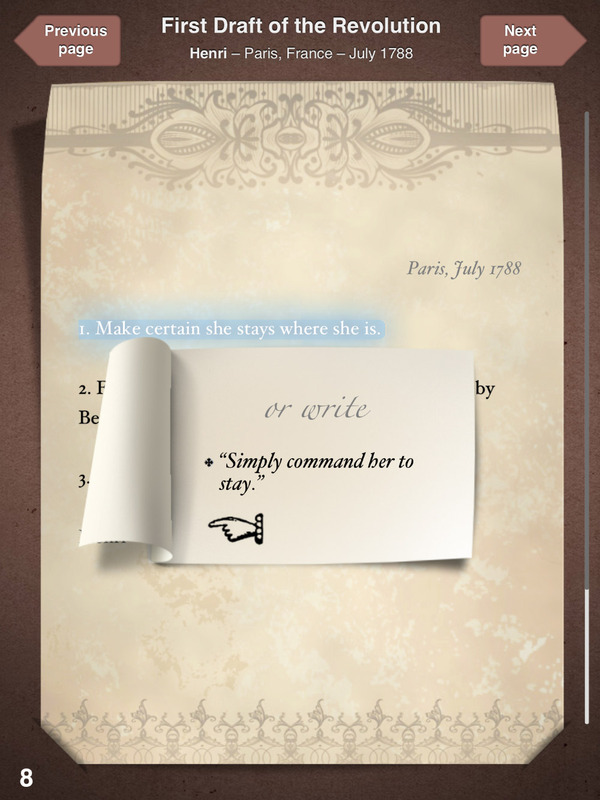 It’s a intriguing, novella-length tale, brought to vivid life by the interactivity, which asks the reader to work through the process of drafting, and redrafting, the letters sent between the characters. First Draft of the Revolution won the award for Best Use of Innovation in the 2013 XYZZY Awards.